Just outside of Kampala's CBD this business centre is located within one of the city's biggest shopping malls and as such has a range of great on-site facilities. This upscale area of the city is known for leisure and shopping but also provides fast access to the main business areas. There is excellent road access and a regular bus service that runs only a short walk from the center, making it easy to get in and around the city. Strategically situated in Kampala city centre, this is certainly a prestigious address for your business. The offices for lease come with excellent facilities and support services, thanks to their well-travelled and knowledgeable staffs. Superb location in the heart of business district with a stunning view of the city and Uganda golf course. The banks, embassies, hotels, government offices and many popular restaurants are located in and around the area. 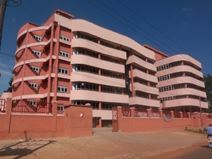 The center is built on one of Kampala's original seven hills, providing the center with beautiful views across the entire city. This prestigious, newly-built, modern building is in the heart of Kampala close to the world's embassies and the technology innovators of the city. On one of the city's seven hills companies here have great views of the entire city from private office suites and co-working areas. 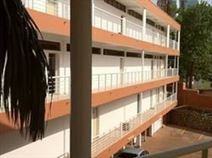 Situated in Nakasero, just 5 km from the central business district, close to first-class hotels and restaurants. This centre offers a range of offices ideal for service-based businesses. This is a quiet and welcoming business environment, an ideal site for those that value practicality and convenience. There is administrative support, onsite parking, cleaning services, 24-hour access and security, and other businesses close by with which you can network. This is a prime location in Lumamba Avenue in Nakasero. This new building offers excellent office space with 24-hour access and security. There is ample parking, and the area is well served by restaurants and other amenities where you can keep your clients entertained. Close by, you can find landmarks steeped in history, as well as foreign embassies, highlighting the prestige of this centre's address. Set in the core of the city's CBD, this modern workplace provides a range of flexible office solutions to suit your business requirements. Offering excellent accessibility, ample parking and a comfortable and friendly business environment. It features spacious meeting rooms, IT support and secure on site parking for easy access. The offices are furnished as turnkey solutions, which a configurable layout to accommodate your specific requirements.